I am always shocked when we come to an end of a month. This month flew by.. I am not sure why things happen so fast anymore. 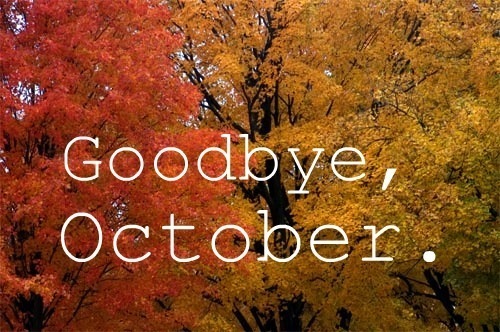 Maybe its me getting older.. IDK.. but October went by fast. 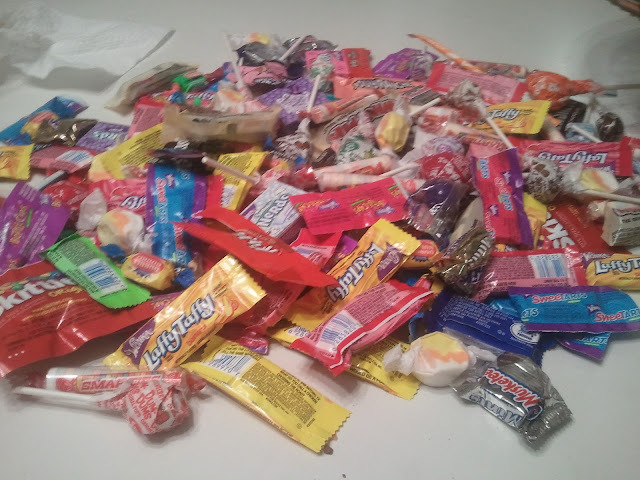 So how was your Halloween!? Jackson is on the left side and Brittany is on the right. My daughter is up north with her dad and Jackson is here with me. Neither of them ( to my knowledge ) had any conversations about what they were going to be and BOTH of them picked the same costume. WOW!! 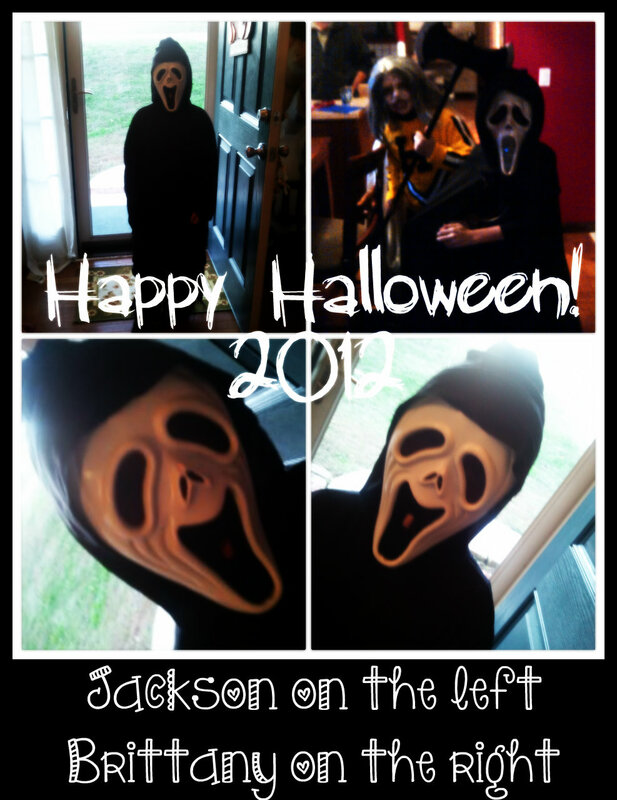 Jackson was out till 915 gathering up his candy..
pot of Chili. Scott and Brandon ate before he got home but I sat down with Jackson when he came home. We checked his candy to make sure it all seemed pretty safe..
and we during our private dinner we had a talk..
Me - Both you and your sister.. won't it be nice when mommy isn't here anymore for you to have books to go though? Me - These pictures and books will save all your memories..and many of mine. Jackson - Your memories, our memories will always be in my ♥. Me - and in the books! Jackson - I love you mom. By time this sweet little conversation we both had tears running down our faces. You know.. I went through some horribly hard depression through out the years. I thought many times of just going ahead and go on to the other side. BUT.. now as I get older, understand more, and listen to my children.. I realize I can never leave this world one minute sooner that what God has already decided for me. I am still prone to depression.. guess I always will be but I seriously have to admit, my kids has shifted my way of thinking so much. I am so proud of my kids and they really do make me a better mother day by day. Ok.. on to the giveaway.. I already posted it but Marie A. won the Day Planner giveaway! I truly wish I could give one to everyone but keep entering because you never know. I don't pick the winner.. They system I use does it for me. I could never really pick the winner! Its way too hard! I should say something here about the giveaways. I do require you to fill in the information such as your twitter name if you followed on Twitter or your Facebook name that you are following under. I don't check them all until the winner is picked. Well tonight the first winner said they left a comment on my blog and followed me on twitter.. they put the names as required but they did not actually do those steps. With over 500 entries I can't check them all. BUT..if you are the winner, I go back and Check to see if you actually did what you said you did. Marie was not the first winner. She was 2nd because I had to have the system pick a winner due to the first winner not doing what they said. So if you want to enter and don't actually do what gave you the entries then that's up to you. If you win.. you won't win. You have to do it right. Sorry but I wanted to be clear.. I don't check unless you are the winner. So think about that before you click to enter! I hated having to do that but its only fair to the rest of the people entering! Marie did it right and she will be the one getting the planner and accessories! Keep in mind that I also have the other giveaway going.. you can get entered on the form at the bottom of the blog in the right side bar. This time I am picking 2 winners to get the Fall Target Beauty Bag! All the information is right here!! Tomorrow I plan on sleeping in.. staying home.. and enjoying the day from the comfort of my warm house. I might do a little shopping but I am thinking I will be home more than anything! I hope you had a great and safe Halloween! 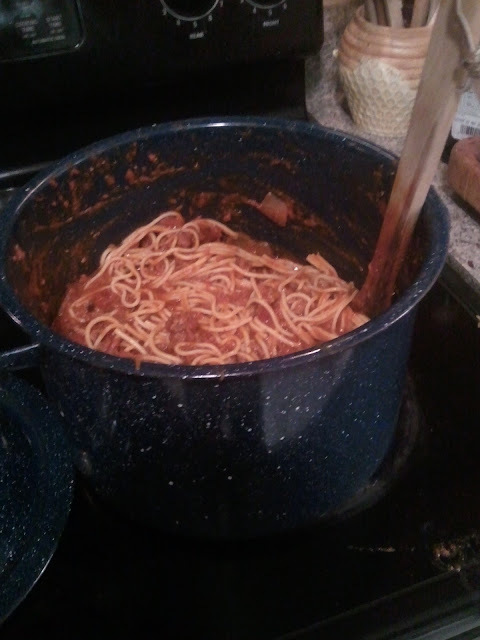 Well its late.. and I need sleep! 2 comments on "Bye October "
I feel the same, like months just fly by! I love this time of year though, and we are that much closer to Christmas! Looks like the kids had a great Halloween! Found your blog through the blog hop at Sweet Pea Sylvie! New follower! Oh and I am doing a fun little giveaway, I would love to have you visit!